What's this? Ok Kinja, what did you change now? Hmm... [Disables extension] Wait, that’s not Kinja, that’s Kinjamprove! I’ve been test-driving “Kinjamprove” for the past couple of weeks, and holy cow, is it fantastic. One of my favorite extensions has been updated with new features. 11:07... 10:22... 10:38... Hm. Well, it does bring the newest comments to the top, but the order isn’t strictly chronological. Probably still needs some tweaking. EDIT: Never mind. In the screenshot above, there was a pending 10:43 reply to “cream wobbly” that wasn’t displaying. I had to activate pending comments first. When Kinjamprove orders comments by “newest”, it’s taking nested replies into account. So it works just fine! Kinja with threaded replies, manual comment sorting (newest, oldest, & most popular), user blocking, and other improvements. • Comment nesting: Replies are nested (grouped & indented) with the comments that they’re in response to, making threads much easier to follow. 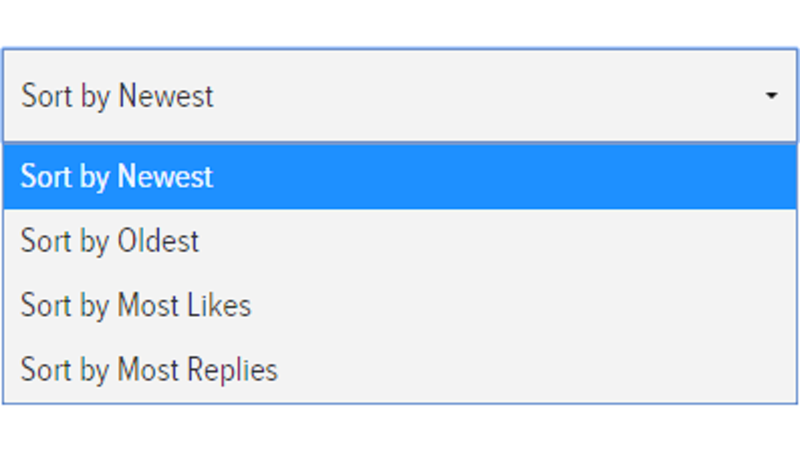 • Comment sorting: Sort comments by newest, oldest, most replies, and most likes. Each time you do, your preference is automatically saved. • User blocking: To block a user whose posts you wish to no longer see, simply open the dropdown sidebar on one of their comments and click on the ‘block user’ button. Now all their comments will be redacted. Users can be unblocked by going to the extension’s options page on (the Chrome extension homepage). • Pending comments toggle: Sometimes you want to see pending comments, sometimes you don’t. A toggle switch is added that allows you to show/hide pending comments with just one click. Your preference is automatically saved. Pending comments made by users that you follow will always be shown, even if you have pending comments set to hidden. • Read more, click less: Fifty more comments are shown each time you click the ‘load more comments’ button. • Collapse threads from the top, not the bottom: A ‘collapse’ button is added to each comment that allows you to hide the comment and all replies underneath that comment in the thread. • Reload instead of refresh: Click the reload button at the top of a comments section to reload the comments section, adding any replies that have been made since the page was loaded. (Note: These new replies may not be immediately visible if they’re further down in a thread and you aren’t sorting by newest.) Also allows you to view edits you may have made. So far, it looks like only the Chrome version of the extension has been updated, but I’m sure that the Firefox version will follow.